Who knew that finding the perfecting dining room lighting would be so hard? When we purchased our home there was this huge, ugly, outdated chandelier hanging in the center of the living room being all disrespectful to our eyes. It did not fit the taste of either one of us; therefore, it had to go! 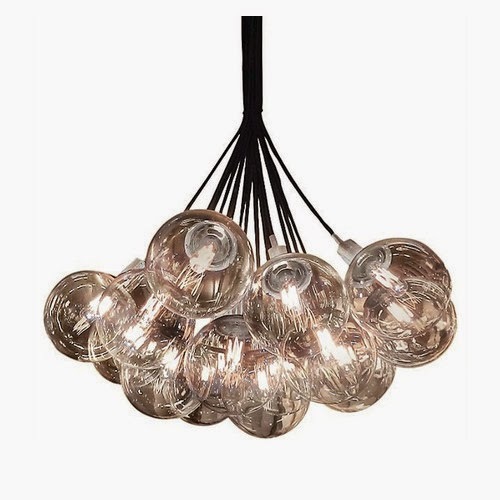 Ever since, I’ve been on the hunt for the perfect dining room lighting fixtures. What makes it hard is, my husband and I have different tastes. He hates chandeliers for one, and doesn’t understand why dining room lighting should be placed 30-34″ above the center of the dining room table. His logic is, ‘What if someone’s head hits it?’ But, seriously, is someone walking across or through the darn table? I think not! FYI: You can find a cheaper one on World Market for about $199. That is, of course, if you’re into that kind of lighting. 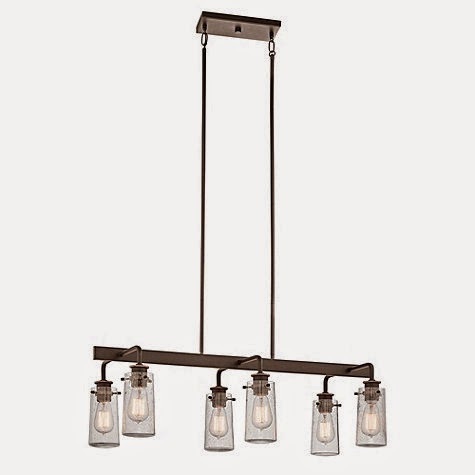 One style he showed me that I liked is the orb light fixtures, but, since we picked up a good-sized farmhouse style table (seats 8), I figured a rectangular fixture with a little bit more size would look better. 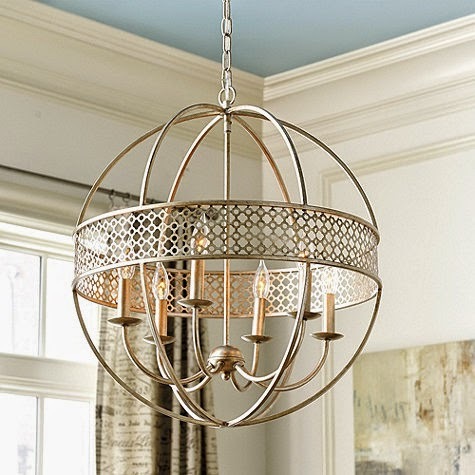 Plus, the experts say that the lighting fixture for a dining room should be at least 1 foot in diameter smaller than the table’s width. And so the hunt begins. These are the lights we liked the best. Answer me this, why are lights so darn expensive, especially dining room lighting? What gives? And why do I like the lights from Ballard Designs the most? 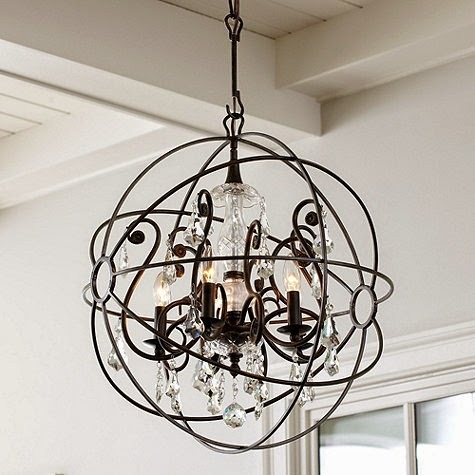 Next up, is finding a chandelier for mini me’s room, and I also want to change the wall sconces in our living room. They are so outdated. Jesus, please be a fence around my wallet. .:AMEN:. 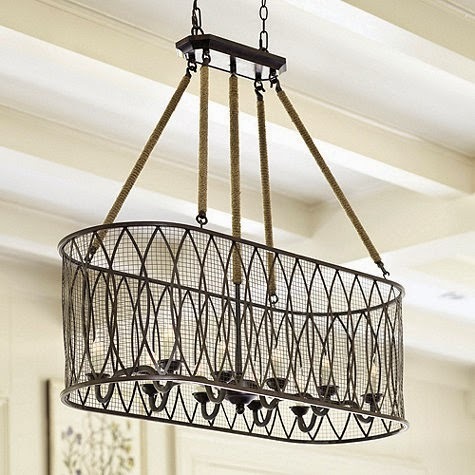 Stay tuned to see which light fixture we chose as the perfect dining room lighting for our home. 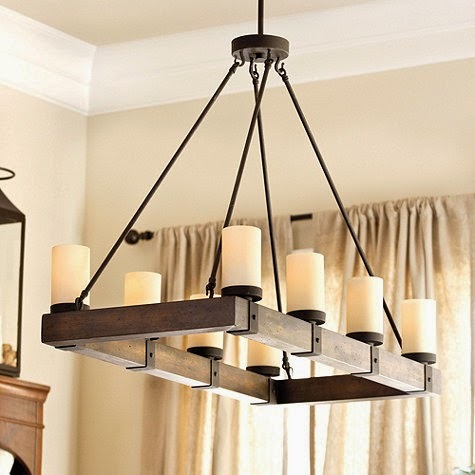 What style do you prefer for your dining room lighting needs? Are you more traditional or no?